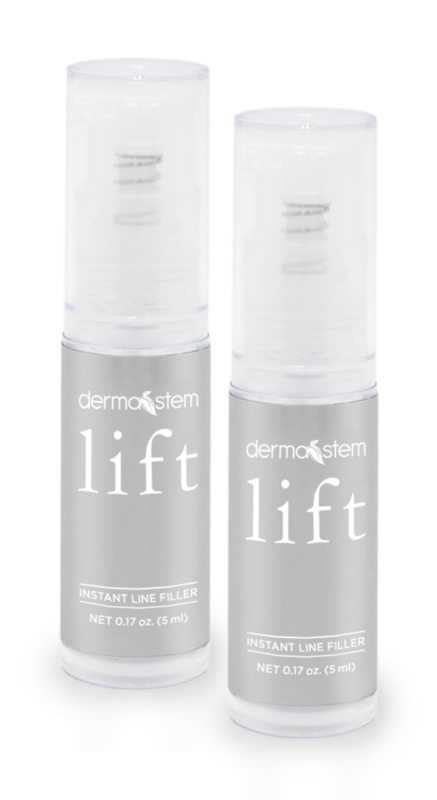 DermaStem Lift is a new Stemtech solution for a youthful looking skin. Designed with natural ingredients, Lift smooths fine lines and wrinkles in only a few minutes after your first application. The daily use of DermaStem Lift reinvigorates your skin, and you’ll start noticing more permanent results in only a few days due to an Ayurvedic herb blend of Lecithin, Indian Gentian, and other ingredients that will give you a radiant and sheer new look. Results in only a few minutes, a decrease of fine lines and wrinkles.